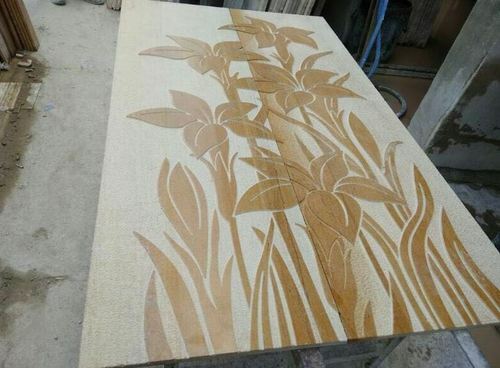 We are offering Natural stone Engraving Tiles to our clients. We, Adelante Exim India Private Limited from 2014 are acknowledged organization and engaged in manufacturing, exporting and importing a high-quality range of Engraving and Carving Tiles. Offered products range consists of Stone Jali, Outdoor Fountains, and Inlay Tile. All offered products are designed using quality tested materials. The provided products are extensively appreciated amongst our customers for their durable standard, sturdy construction, long service life, easy to use and less maintenance. Our dedicated team offers the range of products to meet the requirements of clients. Also, we have divided our infrastructure into procurement, manufacturing, quality control, sales and marketing, and many more departments. Equipment with modern machinery, this infrastructure unit helps us to manufacture this fountains and jali as per the defined quality standards. In addition to this, we provide these products at reasonable prices and deliver these within the assured time frame. Also, we deal in Adelante Brand name in the market.